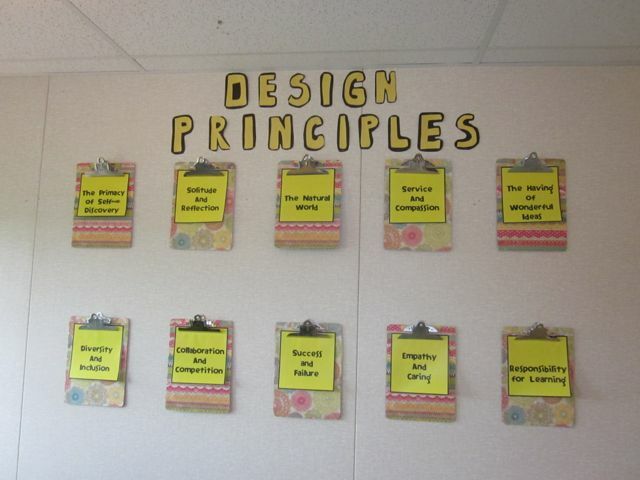 Last year I had my first go at setting up a professional development room for teachers. 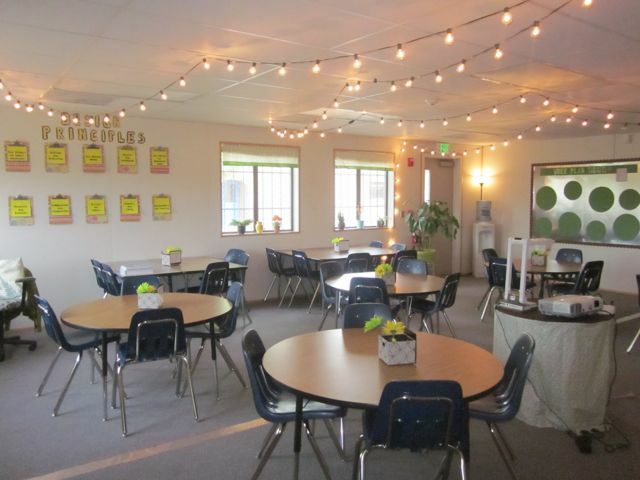 It turned out to be an enjoyable space for teachers to work and learn in and has since been lovingly named the PD Pad. Given a new fire code put in place by the district (only 20% of walls are allowed to be covered with paper), I had to get creative with how to set-up the space this year. 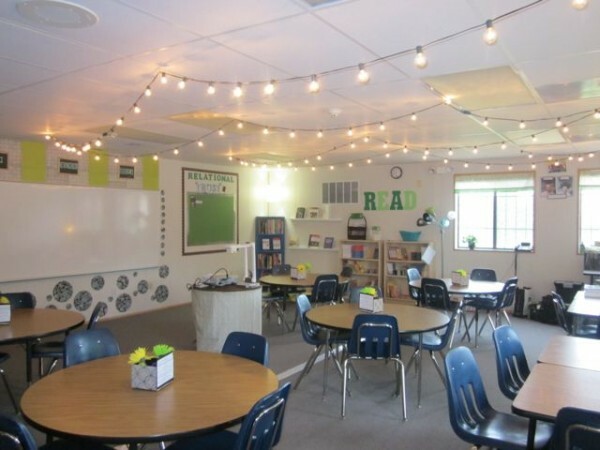 I used sheet metal, clipboards, chalkboards, and creatively arranged fabric to bring color and style into the room while still keeping the fire marshal happy. Check it out! I used a piece of sheet metal from Home Depot ($15 and fireproof!) 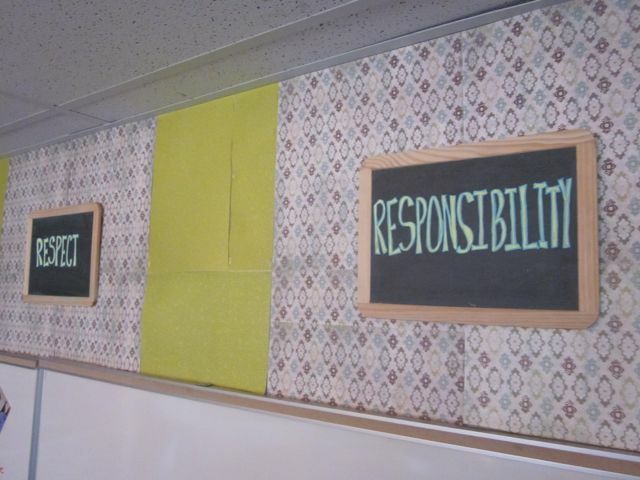 and chalkboard paint to create the background for this documentation panel and the one below. 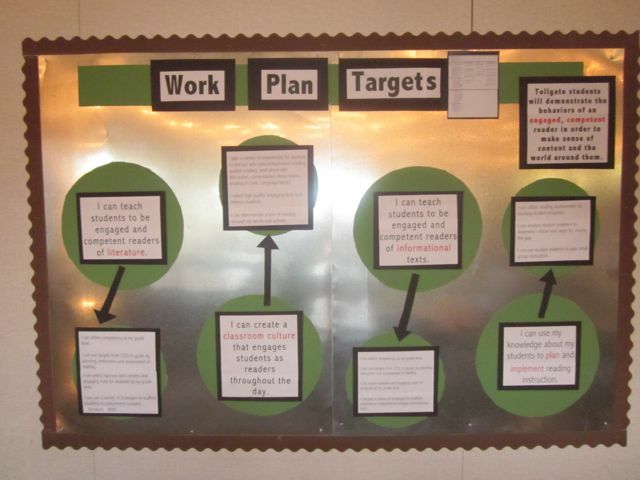 I used small chalks boards and bistro chalk from Hobby Lobby to display our school's Habits of Work and Learning. 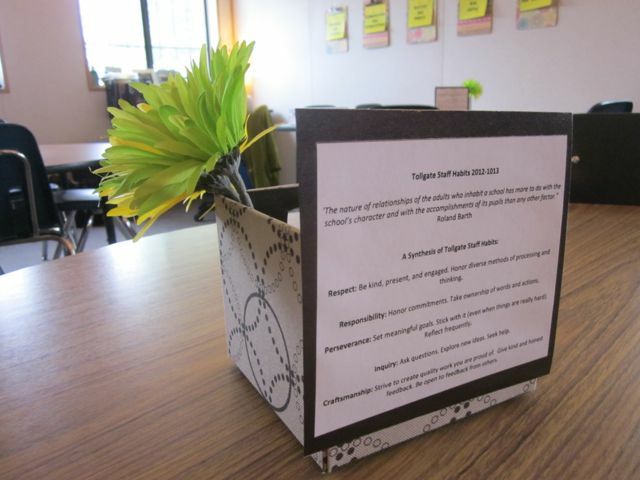 I covered plain clipboards with decorative paper, attached our design principles, and spread them out a bit when hanging to create the illusion of a larger display space without having to use paper. 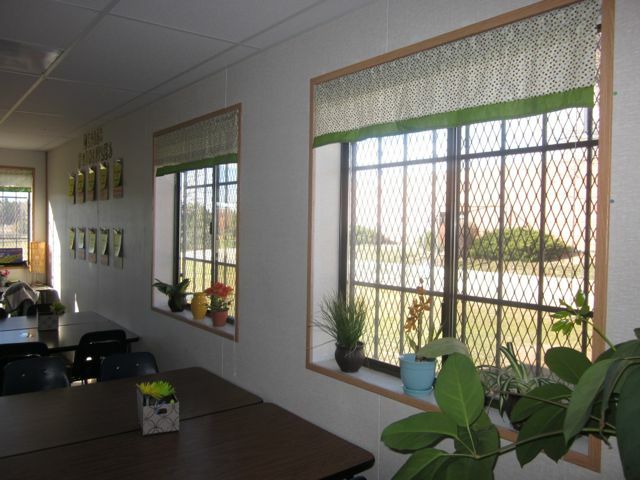 It's amazing what a few fabric scraps and fabric glue can do for a bare window! I added a few colored flowers (turned into pens) to the pencil holders on the center of each table for a pop of functional color. 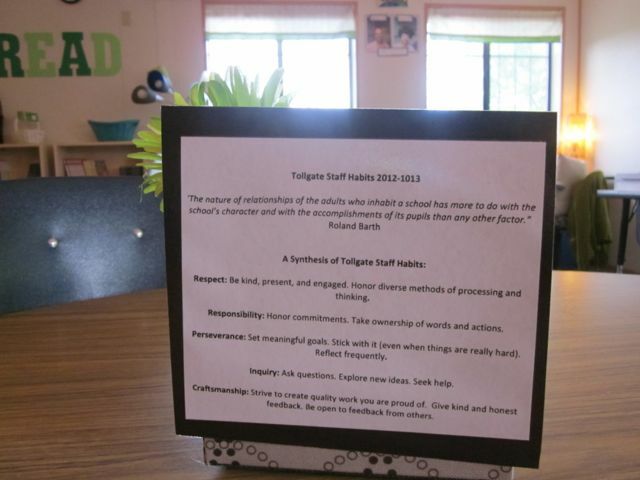 I laminated our five "Habits" and adhered them to the front of each table's pencil bin. Books for guided reading are available for teachers to check-out. I asked our principal for subscriptions to a few different educational magazines. 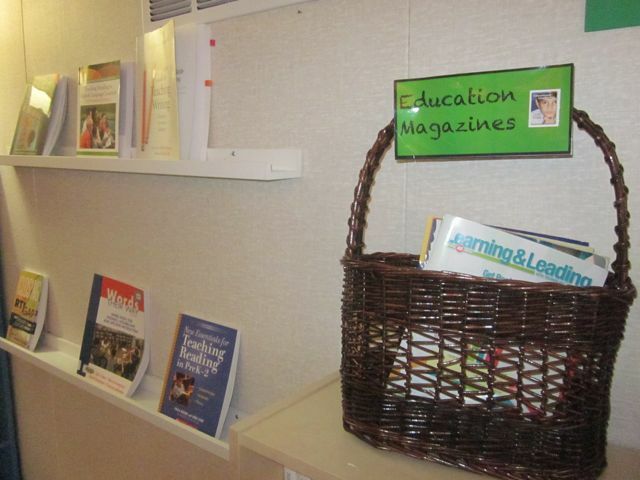 These as well as professional books (to the left) are available for teachers to look through or check-out. 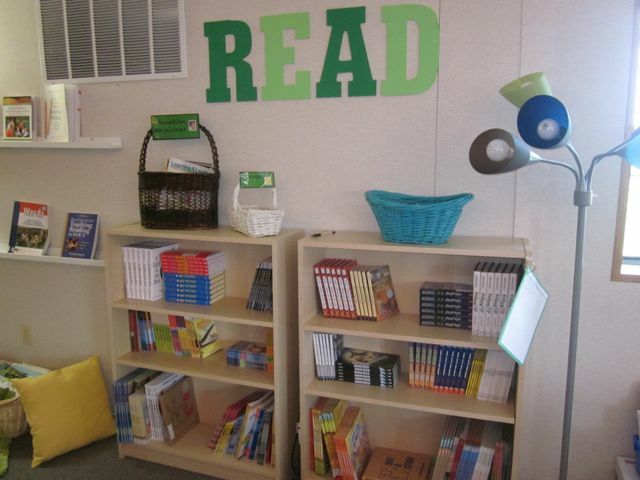 A comfy space for teachers to sit and peruse through the latest read-alouds. 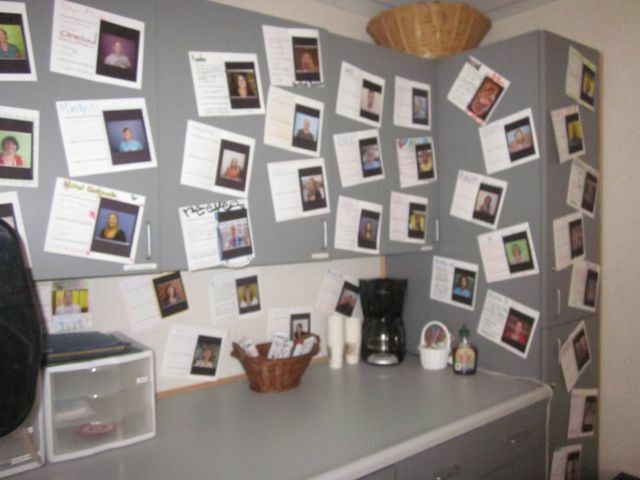 A few parts of the room which haven’t changed include our “Cafe” area, “All About Me” teacher cards, and teacher magnets to check-in with at the start of PD. 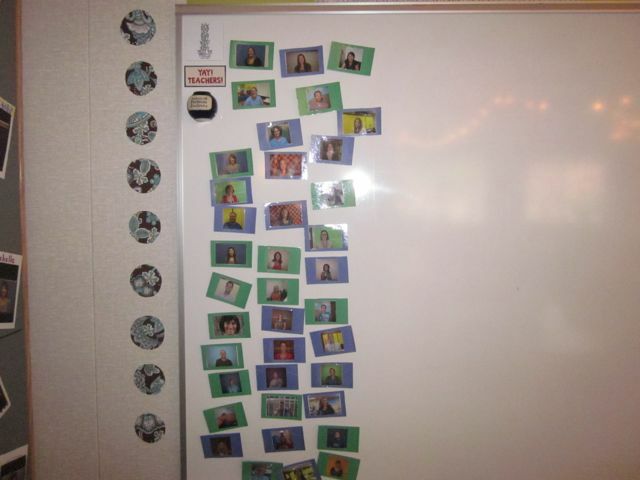 Thanks so much for sharing these pictures! 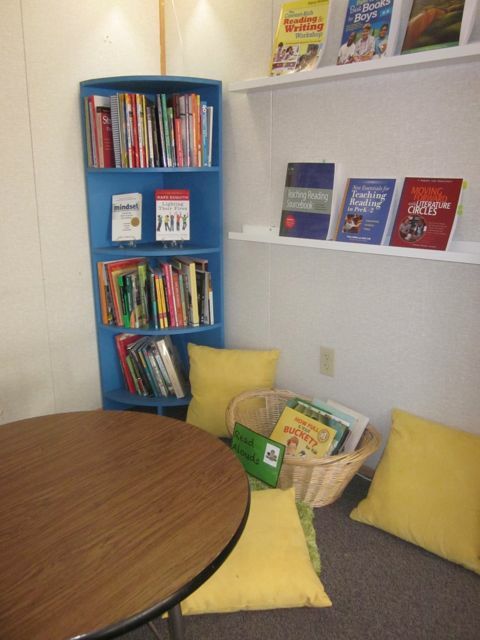 I’ve been hunting and hunting for other literacy coaches’ rooms and I have found so little. 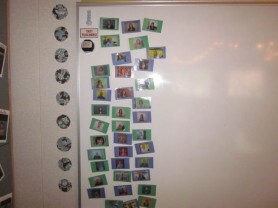 Your pictures have given me some new ideas for my room this year! 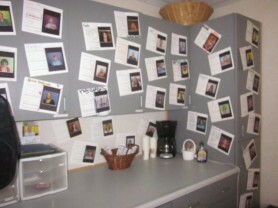 Love these photos–I have lots of good ideas to start on now. 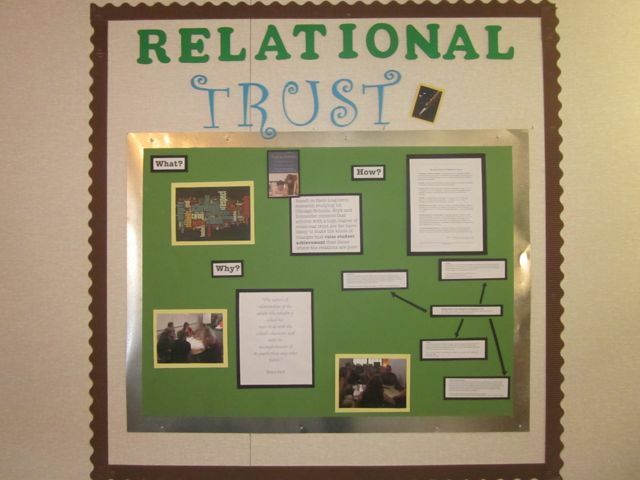 May I ask for zoomed in photos of the relational trust board? This is a focus for us right now and I’d love some more ideas. I think this site is going to be my go to for this year. Terrific! Welcome to the MsHouser community! Leave a Reply to Chrissy Click here to cancel reply.